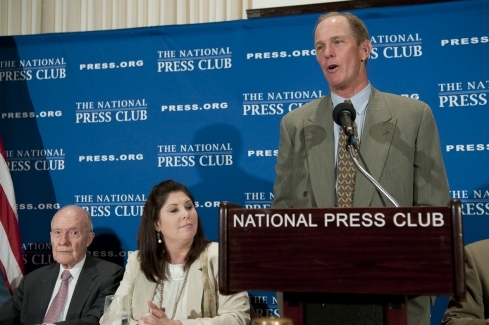 Steven Ford, son of President Gerald Ford, speaks at The Gerald R. Ford Presidential Foundation Journalism Awards NPC Luncheon event held June 14, 2011. 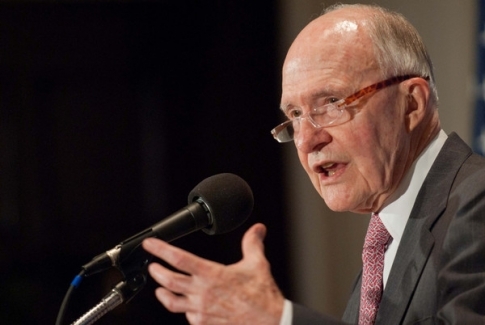 Also pictured, seated: Gen. Brent Scowcroft and Melissa Charbonneau. 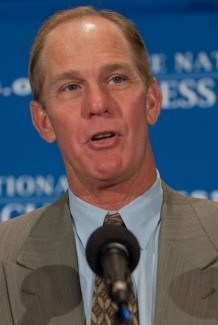 Steven Ford, son of President Gerald Ford, speaks at The Gerald R. Ford Presidential Foundation Journalism Awards NPC Luncheon event held June 14, 2011. 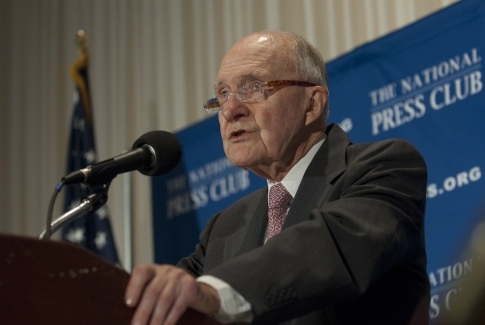 Shane Harris, senior writer for Washingtonian magazine, gives his acceptance speech after being awarded for coverage of national defense at The Gerald R. Ford Presidential Foundation Journalism Awards NPC Luncheon event held June 14, 2011. 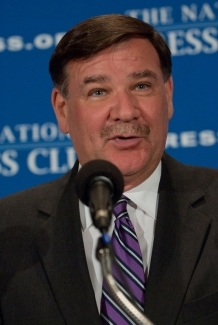 Steven Thomma, White House reporter for McClatchy Newspapers, gives his acceptance speech after being awarded for coverage of the Presidency at The Gerald R. Ford Presidential Foundation Journalism Awards NPC Luncheon event held June 14, 2011. 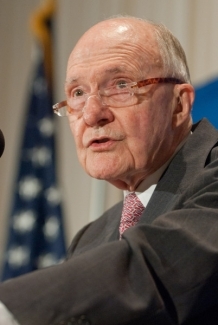 Gen. Brent Scowcroft delivers the keynote address at The Gerald R. Ford Presidential Foundation Journalism Awards NPC Luncheon event held June 14, 2011. 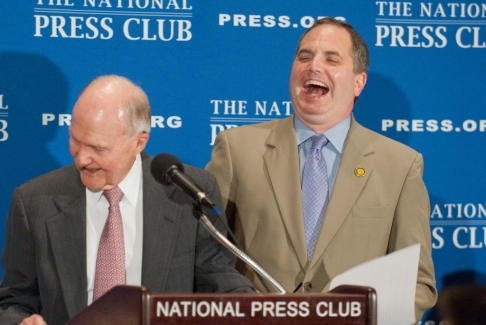 Gen. Brent Scowcroft and NPC President Mark Hamrick (right) share a laugh at The Gerald R. Ford Presidential Foundation Journalism Awards NPC Luncheon event held June 14, 2011. 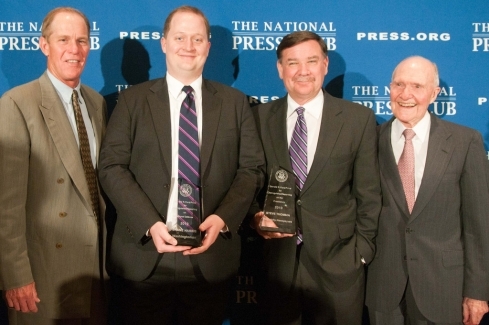 From L to R: Steven Ford, Shane Harris, Steven Thomma and Brent Scowcroft at The Gerald R. Ford Presidential Foundation Journalism Awards NPC Luncheon event held June 14, 2011 honoring Harris and Thomma for coverage of the presidency and national defense.